Shocking revelations from President Obama's former Defense Secretary. Robert Gates says the President didn't believe in his own war strategy. Vice President Joe Biden and Secretary of State Hillary Clinton had honorable mentions as well. Full story here. We debate the new tell-all memoir with Larry Korb of the Center of American Progress and Reuel Marc Gerecht of the Foundation for Defense of Democracies. We want you to weigh in: Is Gates' decision to write a tell-all book an act of courage or betrayal? Vote by tweeting Courage or Betrayal using #Crossfire or comment on our Facebook post. View results below or through our Poptip results page. 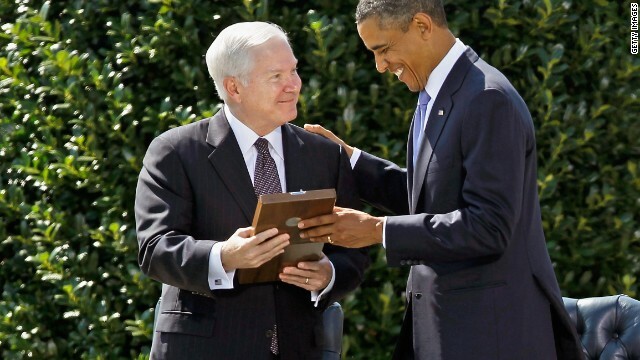 President Obama's former Defense Secretary Robert Gates loyalties have always been with the Republican agenda. So if anyone is but slightly surprised that he didn’t agree with the White House with his point of view that should be expected. I suspect some think this book is breathing fire for the next presidential election when in fact Robert Gates’ book is just more Republican triviality and will smolder away like other useless trash. Do you all hear yourselves? This was an act of cowardice? Why didn't he bring all of this up to the President at the time or properly advise him? This is my question to all of you saying this, have you not been here in America for the past 6 years? Obama is a tyrant and will not suffer anyone to disagree with him about anything. Gates could not have taken up an issue like this to Obama or disagreed with his strategy without being removed. It humours me greatly when I here about how "dishonest" Republicans are, because Obama and his cronies wrote the book on dishonesty. I believe it was titled "My Lips Moving: The Tale of Barack Obama". If he had had any courage he would have brought this up with the President. These are not bombshell revelations. They are partisan personal comments from a Republican, probably after being pressured by GOP leaders as part of their vicious 5-years of attacking everything the president does. Gates has diminished his stature by making cheap negative attacks on the 3 key people leading up to the 2016 election. Sound familiar? President Obama has experienced more incivility, betrayal and insult than any other sitting US president, and Mr. Gates really takes the cake! Has any other former Cabinet member ever trashed the president he served, while that president was still in office? Probably not. Despicable, Gates! When you elect men and women to serve in Congress , Senate or the Presidency , they become Public Servants and they owe you transparancy and accountability . Obama has not had the executive experience and is just not up to the task of being in charge of anything , sadly so, because the country will have to suffer the consequences. Mr. Gates is doing you a favour by having the courage to expose some of the immature and flippant decision making he witnessed in the White House which were often based on political expedience. Mr. Gates loyalty is to the men and women serving your country and the military will thank him for that. You are so correct, it turns out he was the lap dog for the Republicans this whole time. For all of you who haven't caught on, It should be clear now that Obammy couldn't lead a senior citizen across the street. Sad days for the USA. This admin has turned this country into a punch line for jokes. The greatest act of cowardice and convenience, after the act that I can ever recollect. By implication, these were situations he could have advised over, but by errors of omission and commission, shied away from for sinister motivation or sheer ineptitude. He should go hang his head in shame and forever remain disgraced.